full days of exciting advocacy efforts, updates, and discussions. The AHCA/NCAL Congressional Briefing offers you the unique and priceless opportunity to meet with your Members of Congress and tell them what you would like them to do to best help you maintain quality care in your centers. You'll also hear from outstanding speakers. 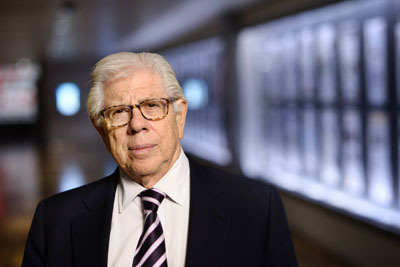 This year's Opening Keynote is Carl Bernstein, legendary Pulitzer Prize-winning journalist, author, and political analyst. Visit CB.ahcancal.org for more details. Additional guest speakers will be added over the next several weeks so check back often for more information. Register now and make your hotel reservations. Congressional Briefing takes place at the Hyatt Regency Washington on Capitol Hill. Rooms will fill up quickly so don't wait! Registration for this event is exclusively for long term and post-acute care provider members of AHCA/NCAL and AHCA/NCAL Associate Business Members. The conference registration fee is complimentary and is accepted on a first-come basis.